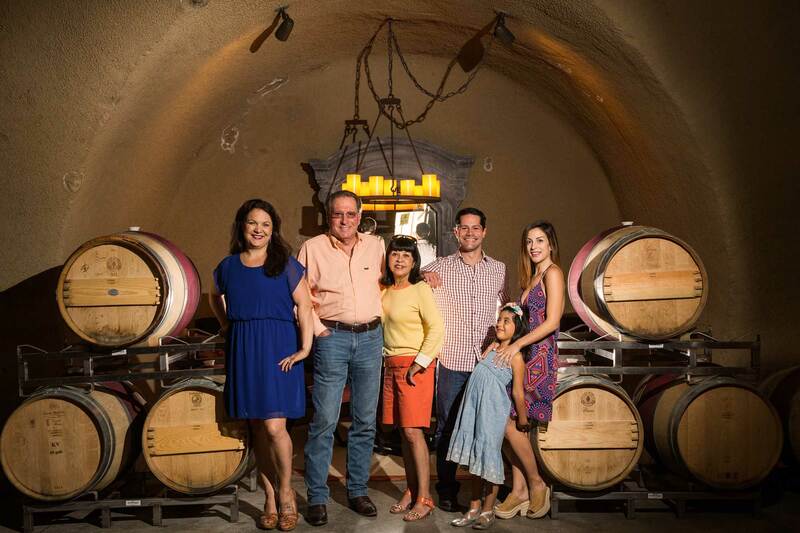 Keever Vineyards is a small family owned and operated winery in Yountville, in the Napa Valley. And when we say family owned and operated, we mean it. On any given day there are between two and four Keevers on site. During fruit processing we get aunts and uncles in too. Despite recently turning 70, Dad – Bill Keever – drags barrels out of the cave, works with our vineyard manager, and drives the forklift. When he is not getting his hands dirty, he is also our Chief Executive Officer and General Manager. Mom – Olga Keever – runs the office, works with distributors, and ensures all our compliance obligations are met. She does tours and tastings to boot. Daughter Ashley is Hospitality Manager and Accounts Payable. She puts the fun into our tours and tastings and ensures that guests at Keever Vineyards feel like members of the family. She works with other wineries and with hotel concierges to ensure that Keever Vineyards is a perfect match to our guests’ itineraries. Son Jason specializes in production. Winemaker Celia Welch calls the shots, and Jason makes sure everything gets done in a manner that ensures the highest quality and that no details, however small, are overlooked. On July 14th of 2006, Keever Vineyards celebrated the completion of the winery with an open-house party for family and friends. Since then, visitors have been coming to the winery to sample the incredible wines and to experience a private tour of the winery and cave and the beautiful site. In October 2008, Celia was named Winemaker of the Year by Food and Wine Magazine. Celia has been honored with The Rising Star Award from the Southern California Chapter of Women for Winesense, and has been admitted to the Winemakers Hall of Fame by the U.S. national chapter of the same organization. We believe that wine is more than just a beverage; it tells a story. It is a place and a time; a snapshot of the vineyards in each vintage. It is truly a labor of love. Gently cared for over months and years until it is shared with friends and family. We hope our efforts can be part of your celebrations, whatever the occasion. Keever Vineyards is perched in the hills just southwest of the town of Yountville. Our vineyards follow the natural contours of the land. They begin about 300 feet above the valley floor and descend the knolls, bowls and hillsides that make up our ranch. We have a small winery, cave and about six and a half acres planted to vines.